I'm in Berkeley and hanging around 4th Street, but not in any creepy way. I'm just killing time before a meet up and my stomach is needing a little pick me up. It's a hot day and there are lots of people out and many of the places are quite crowded. I'm searching for a little light sweet bite when I cruise by Bette's Oceanview Diner. I've heard of the place as it has a good rep even though it got featured on that Food Network show with that loud white haired guy who shall not be named. I don't get to 4th Street often in all the years I've lived here, but I few times I feel like I've wanted to try the diner but the wait to get in was off putting. This time I'm not looking for a whole meal and decide to hit up their to go side and see what's shaking. Their case has an array of cookies, cupcakes, pastries and other assorted sweets for me to choose from. 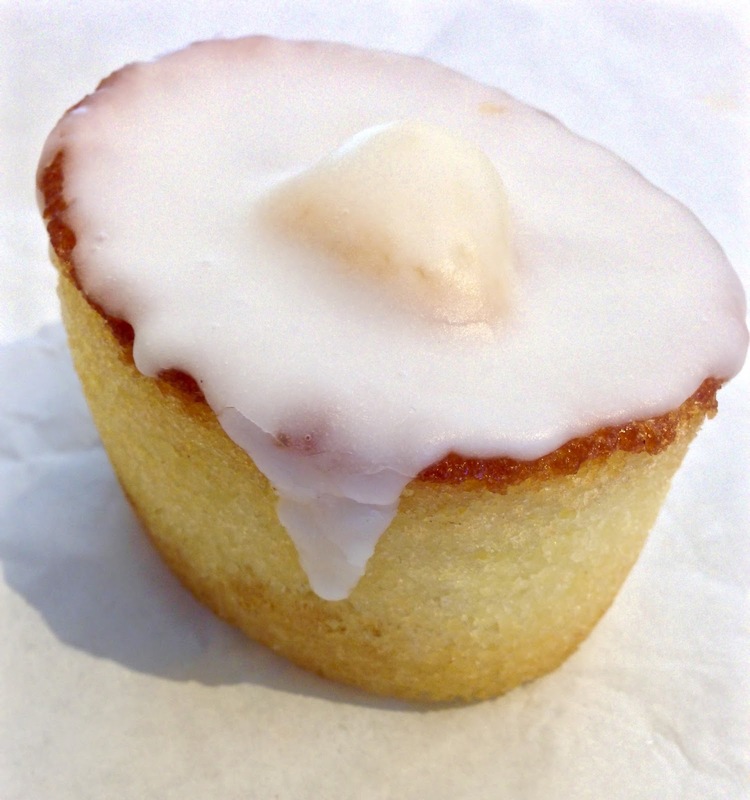 I settled on this little lemon cake with sugared icing. It's a cute little pound cake thing with a very distinct lemon tang. The cake is moist, lemony and a little refreshing on this hot day. While I'm not this biggest fan of this sugared kind of icing, on this particular type of cake it works well to balance sweet and sour. Though I do caution, for some it may be too sweet, depends on your comfort level. And from about the middle up, this cake is really good. From the middle down is where the problem occurs. There is a severe wetness that seems to have trickled down towards the bottom making is soggy, mushy, overly sweet mess. When I picked this up to eat, a large swath of the bottom actually stuck to the parchment and came off the cake. It's like they brushed on some liquid sugar to keep it moist or something, but it has had the opposite affect and made too wet and oddly enough for me, inedible. This literally becomes a halfsies review then, the top half I liked, the bottom half, not so much. Thus I half recommend. Wouldn't keep me from trying Bette's again, but I'd veer myself toward something else to find a more complete result. The Chron has ranked their 20 favorite food trucks. Too many taco trucks and no Senor Sisig make this list suspect. Here's a tour of the new Bon Marche that just opened in the Twitter building, in case you wanna tweet about it. Something called eatsa opens Monday and SFWeekly got a sneak taste preview. Reminds me of an automat. Yes, I know what that is and so should you. Finally!! Pop-tart beer from 21st Amendment! Wonder how it goes with butter? Bayview is about to become the new hotspot for brewers and distillers. We'll see how this pans out. It's 1601 Bar and Kitchen's omakase style tasting menu. Well, at least it's under $100 (without drinks that is). And so it begins for La Boulange. Can't say didn't probably see this coming. Philz gets some competition as Reveille Coffee Co. is opening in Mission Bay. Don't want a whole can of beer? Here's where to go to get your beer shot on. Fake Yelp! reviews fool local food critic. Just another reason to hate Yelp! 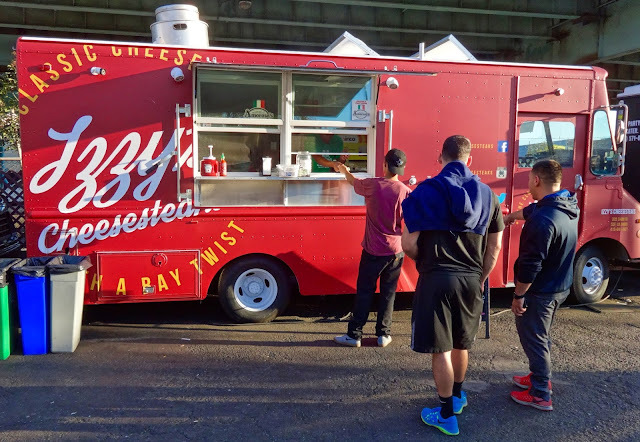 Apple Pay is going after food trucks now (watch out Square!). Soon it will be an Apple World we just live in. Or has that already happened? "It's just another Pleasant Valley Sunday," and in case you are too young, that is from a Monkee's song. Don't know them? Well, I highly recommend Googling them. If you are a pop music fan, you can thank me later. But back to Sunday and we are hitting up our favorite spot the SOMA StrEat Food Park for some food in the sun. 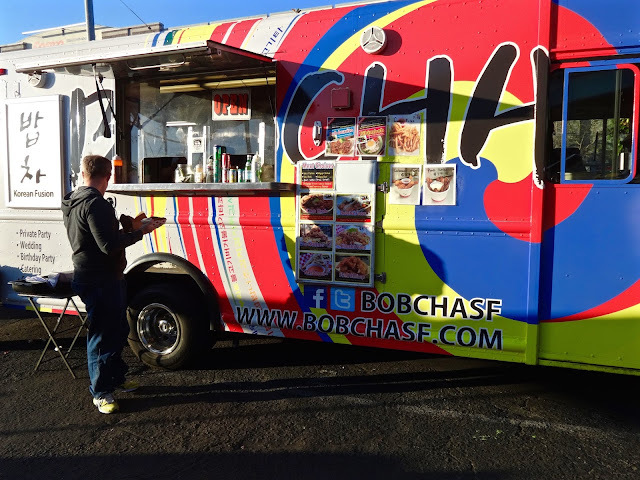 There are a couple of places me and the SO haven't tried yet and we zero in on some Korean fare at the Bobcha SF truck. Next to the Golden Gate Bridge and Pier 39, the gates of Chinatown are one of the most tourist visited (clogged) places in San Francisco. Thus, what better place to open a French themed bistro! No seriously, this placed opened 10 years ago just across the street to offer up "old world charm with modern flair." Of course I'm talking about Cafe de la Presse, a French bistro and bar trying to bring a little Europe to visitors and locals alike. The festival ran for 2 days but, like the troopers we are, me and the SO plowed through this in 4 hours. Yes, we tried to pace ourselves and since some of the spots we hit had lines, that helped slow things down. And as the day wore on, more people came and many hung out inside the giant warehouse, where a bunch of the vendors were located, in order to escape the heat. Sometimes maneuvering around folks (and their dogs, kids, strollers, etc.) could be a challenge. But we soldiered on and I bring part two of all the things we ate on that fateful day. 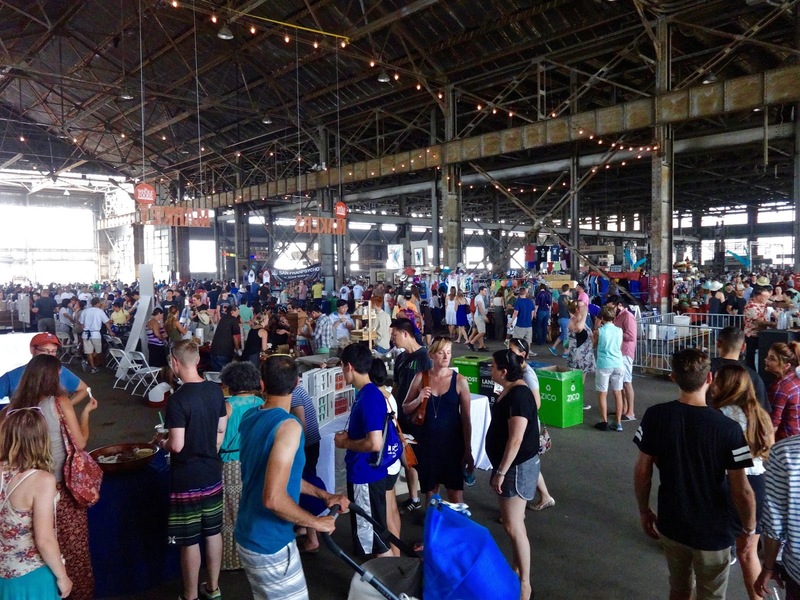 The San Francisco Street Food Festival was this past weekend in their new digs at Pier 70. It's a fundraiser for La Cocina, an incubator kitchen for low income entrepreneurs to help them cultivate new food start-ups. They've done the festival for a number of years now and eventually outgrew their Mission location and managed to snag the much larger are in Dogpatch. I'd not been before because, well, honestly, I don't know why. This year I made up my mind to just go and even bought two tickets for me and the SO, which turned out to be an excellent idea. Having the tix let us get in earlier AND we didn't have to stand in the general-get in free-line. A real boon on this particularly hot day. Of course, it also meant we had $100 worth of food to eat, so challenge accepted! Beyond the heat, we were jazzed up to eat up and boy did we. I will say I was surprised at how many of the booths and trucks I was not only familiar with, but had also eaten at. Funny how that happens. Needless to say, even with all the been there eaten that places, there were still plenty to go around and because of that, this is just one of two wrap ups I'm doing to cover all the dishes. And yes, we ate (and drank) a lot. Whatever, don't judge. I'm not gonna do deep reviews of what we got, just little bites of the bits we had. Last week I was unimpressed with my chocolate croissant stack from Craftsman and Wolves and said I'd have a better one this week and here it is--a strawberry rhubarb crumble muffin with cream cheese filling. This did not suffer the dryness of the croissant. 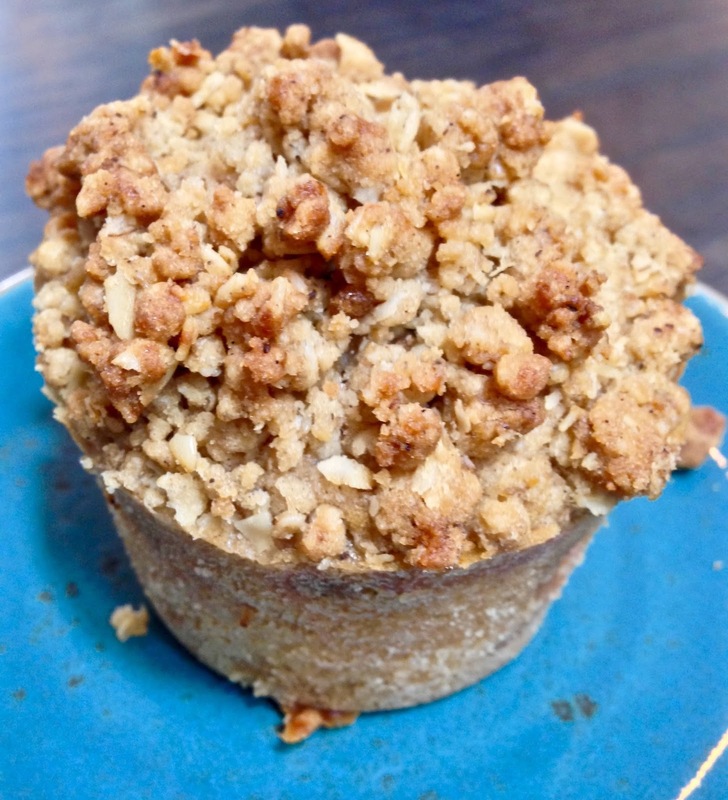 It was a nicely dense and moist muffin with a lovely toasted oatmeal like crumble on top. There were notes of the strawberry throughout without being overly sweet and the cream cheese filling was also on the less sweet side, which was nice for a change. It was almost like this was a mini breakfast with fruit, oatmeal and dollop of cream cheese. Just a few bites to get through the whole thing, but filling and satisfying for both a hint of sweet and little bit of fiber to get your day started. I know filling is all the rage in muffins, cruffins, cronuts and whatever else comes down pike, but here it's not an overkill, more of a creamy addition to an already tasty little cake muffin thingy. Think of it as a sweet compliment to their famous "rebel within"--which is basically their version of a scotch egg. Or just think of it as a breakfast cupcake (seriously--has anybody in town done that? Oh wait, yes they have, sort of, at La Luna. I think they call the San Francisco Bay-con. ), either way, you can't go wrong. Benu raises prices again because--minimum wage. How will Good Eggs vendors make due now that they've downsized operations? 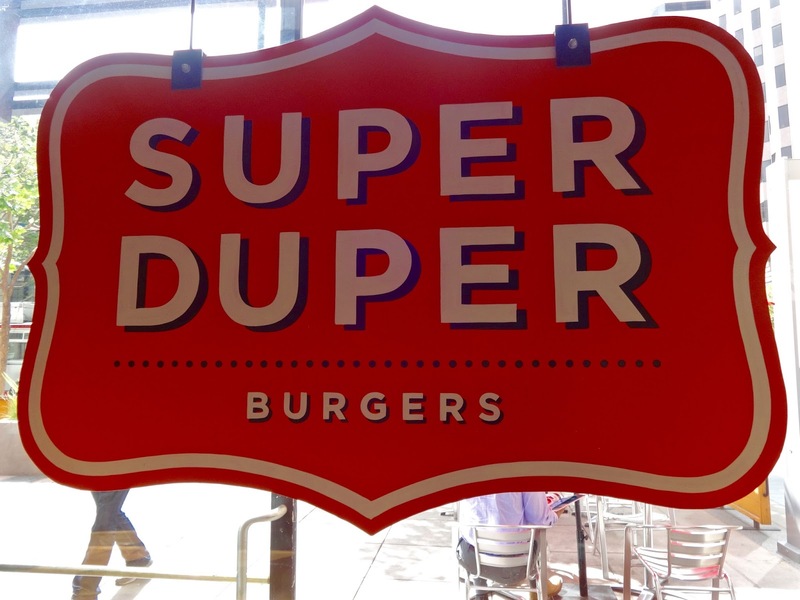 It's guest chef week at Super Duper Burger to kick of Eat Drink SF. Not to be outdone, local brewer Anchor Steam revs up "Drink Steam Week". SOMA StrEat Food Park founder talks growth and expansion. Here's a little round-up of mid-Market food happenings since that is THE place to open a restaurant food thingy these days. Another food truck is going brick and mortar, in the Mission of course. 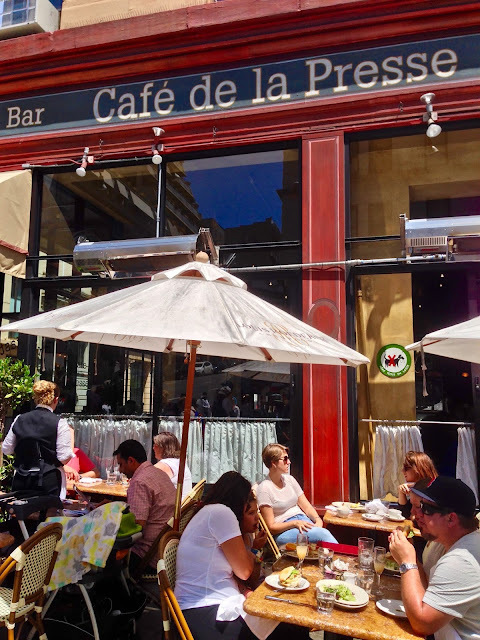 Bon Appetit says San Francisco is the best food city in the country right now, duh. If you didn't get enough at the Pier 70 SF Street Food Festival, well, there's always this next weekend. Even the Wall Street Journal has seen fit to highlight the City food scene with a legendary Mexico City chef. A food blogger is opening her own restaurant. Named after her blog, 'natch. Someone's growing grapes and making wine in Bernal Heights. 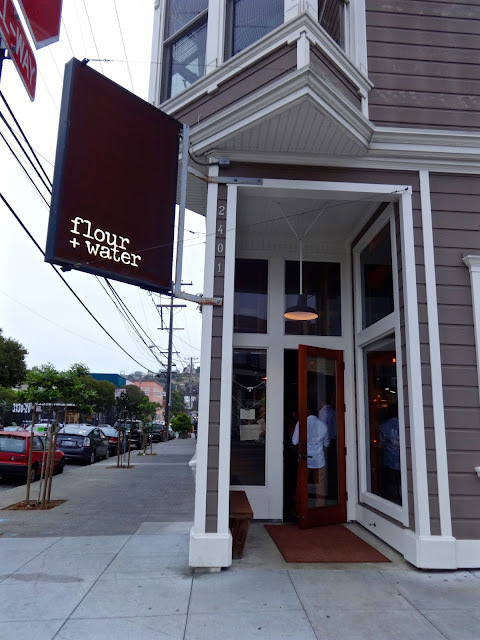 FLOUR + WATER IN THE MISSION....THE NAME SORT OF MEANS SOMETHING? 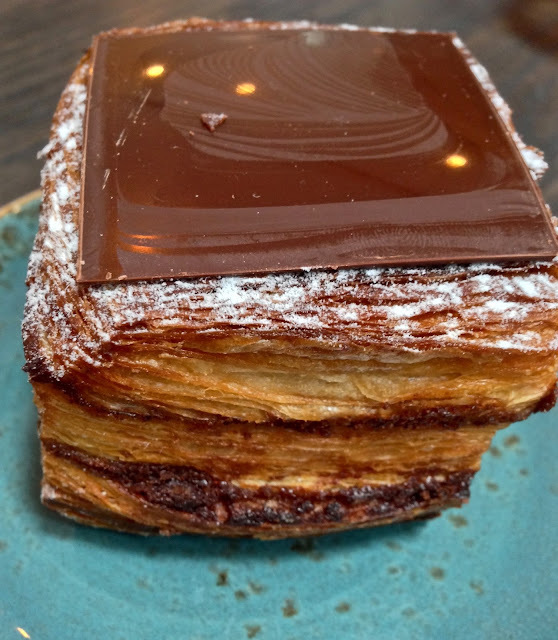 YOUR WEEKLY DIGESTION OF FOOD NEWS TO CONSUME....AND CHOCOLATE CROISSANT STACK! I recently had relatives in town for a visit and took down the Valencia Street stroll, and Mission, to get a taste of the old and new that was going on in the neighborhood. While on the walk we hit up a few food places to snack along the way and keep our energy up. They wanted something sweet so Craftsman and Wolves came to mind as a little different variation on a bakery to try. I hadn't been here in awhile and was interested to see what's new since they had seemingly taken off since my initial review of them back in 2012! First up was something of the relatives choosing that looked unique--the chocolate croissant stack. Flaky layers of buttery dough with intermittent layers of chocolate. Yes, basically a square chocolate croissant. The got the chocolatey flavor going on quite well and you do get it in pretty much every bite. It's not too sweet either, even with that dusting of powdered sugar. I think the one drawback for us was it erred on the side of dry. Flaky croissant pastry dough does run that fine line of being seemingly dry yet not so much that the buttery-ness of it all compensates for it. Here it seemed they just stepped over that line and the butter and chocolate couldn't quite make up for it. It's possible this particular batch was slightly overcooked, who knows. Either way, we were not over impressed with this effort. The square shape seems to be the only thing really unique about this. The rest was just kind of everyday and crumbly. Maybe that's why the suggest some latte with it. Like an upsell and a cover up to off set the dry. Oh well, while Craftsmen didn't impress the relatives much with this, I still think they do some tasty treats and next week I'll offer up something I did have and enjoy there. Things must be working out at Smokestack as Chef Lee is now working on the menu at Magnolia in the Haight. Nojo has new owners in Hayes Valley. It will close and reopen as---Nojo! What ever changes on the menu remains to be seen. Wow! A tech start-up that expanded too rapidly! That never happens! Good Eggs decides shrinking is better than outright closing. 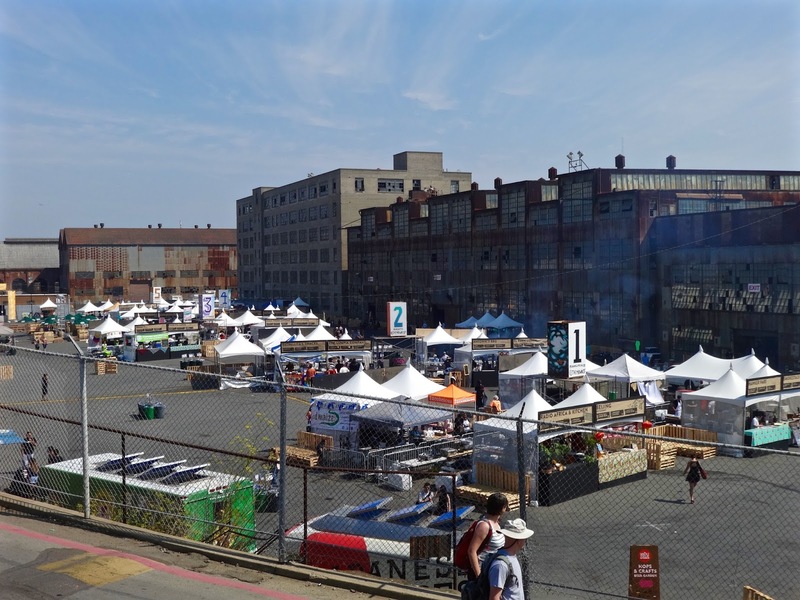 The Pier 70 San Francisco Street Food festival keeps expanding. Much like what will happen to your waistline when you go. Because a Safeway isn't always convenient, 7x7 highlights some small neighborhood grocery stores. It's Fumi Curry and it's open in Bernal Heights. Yeah, that's a little close to furry for me. Circa is now The Dorian. Let's hope the food isn't grey! Get it?! Ugh....food humor. Team behind high end Mexican restaurant Comal is ready to open it's sequel, The Advocate. Looks like it will be high end Mediterranean. How much more will we have to pay for a gyro? And finally, since it's been a little on the warmish side in The City, here's 21 ice cream shops around town you can try to cool off in. What to do on a sunny, breezy Sunday afternoon? As is want for me and the SO, we headed out to SOMA StrEat Food Park to see if any new truck was shaking it on this day. Surprisingly there was more than one making an appearance and seeing as how we had just gotten back from vacation, I was still on the eat anything vibe, including carbs, and found myself making eyes and footsteps towards Izzy's Cheesesteak truck to see what cheesy meatiness they had to offer. Breakfast, they say it's the most important meal of the day, or that's what they used to say as new information has come to light it is not really that important. I know what they mean. Sometimes when I first get up, I am so not in the mood to eat (or see people, talk to people, interact in any way, etc.). Be that as it may, it's still good to have options your standard bagel shop or the ubiquitous Lee's Deli--though I will shout out to their breakfast bar and endless bacon. Thus when an old favorite like Super Duper Burger, starts offering a small selection of breakfast eats (at 2 of their locations) I decided to swing by the 98 Mission Street location and check out what they got going on. Vegan--that's like totally no animal product. No butter, no cheese, no eggs, no (cow) milk. Usually this can lead to no taste, too much sugar and weird textures. It's what has always made me dubious when trying desserts that are vegan. 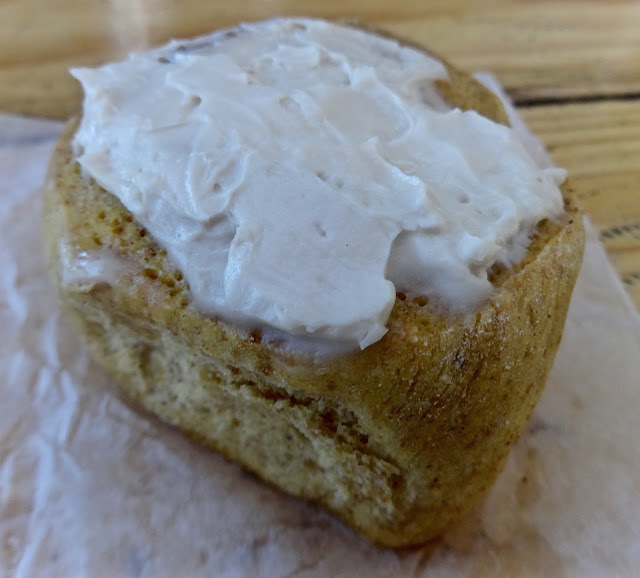 But since me and the SO were on that kick this week, when I came across this cinnamon roll with "cream cheese" frosting from Mollie Rose Baking Co., of course I was going to try it! I mean it looked decent enough and was a pretty good size for about $3. I was also moderately intrigued by the idea of vegan cream cheese frosting. This particular one seemed to be some kind of either soy or tofutti type mixture that had a nice look of frosting and an almost taste of cream cheese, though it was a tad on the too sweet side and the texture was also a tad off. Hard to pinpoint what it was but it was sort of like lotion to my tastebuds. Not really off putting, but just sort of off. The roll itself had a tasty enough cinnamon sugar flavor but again the texture was on the slightly doughy side. I think this could have benefited for a little more time in the oven. The color was a little more beige as opposed to golden brown and the inside was the color of like a light wheat bread. I'm not gonna say I totally disliked it, but I also couldn't fully appreciate it either. I had much preferred the mocha brownie me and the SO had. Oddly enough, in a change of flavor tastes, the SO said he did like this cinnamon roll. A switch, I know. He was a fan of the slightly doughy texture and liked the fact that it didn't taste all that sweet when icing and bun were eaten together. 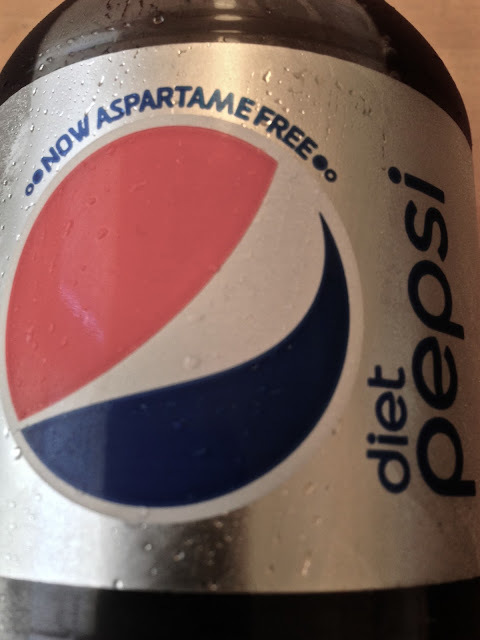 I was surprised but that just goes to show how people's taste buds and appealing flavor profiles can vary from item to item. I'd had high hopes for a vegan cinnamon roll with some faux cream cheese, since I'm such a fan of this particular type pastry dessert (shoutout Church and Market Safeway!). So it's kind of a thumbs down thumbs up on this. For me, I can't see getting it again without some adjustments--maybe bake a little longer and do a sugar glaze topping instead? Though the SO will tell you it was pretty good. Okay, so maybe that doesn't help you decide, how about--it wasn't so bad I wouldn't see what else Mollie Rose had to offer. Where desserts are concerned, I'm willing to go that extra bite for you to find something yummy. For that, your welcome! Frozen custard, KQED says it is the new Bay Area ice cream treat. Seems some restaurants aren't the biggest fans of Postmates and those other services that promise to deliver whatever you want when you want it. It's called Volta and it's coming to SOMA. Yes, we live here, but some of us aren't the waiting in line kind. Zagat offers up some alternatives for the rest of us. Not to be outdone (of course) Google now shows you how to avoid lines at those popular places with a new search feature. The big "you can't find good bagels in San Francisco" debate gets a new player. What took you so long? Though SF Weekly does a game job of trying to find the "best bagel" in town. San Francisco Magazine lists their 2015 best in food things. Though, aren't there still 5 more months to go? Yeah, I'm not sure I even understand what this is, but it does seem sooooo San Francisco. 24th doesn't want anymore "big" restaurants on their block. Outside Lands, that food event with some bands playing, has announced their GastroMagic lineup. Wrapping up with the last days of La Borinquena in Oakland.